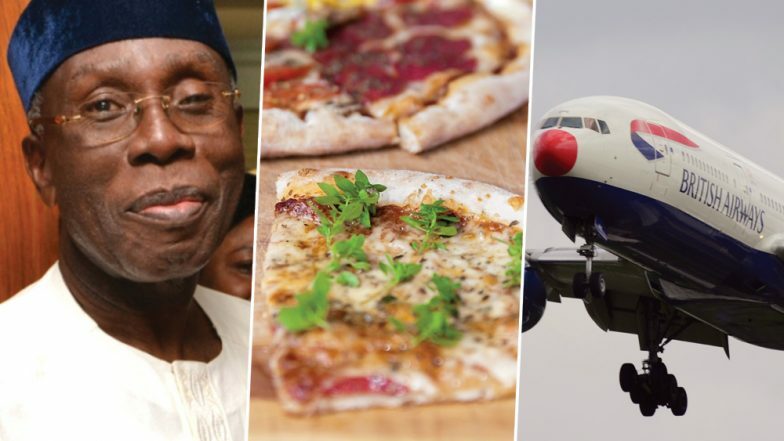 Abuja, April 1: Nigeria's minister of agriculture, Audu Ogbeh, complained in his country's parliament that super rich Nigerians order pizzas from London and get it delivered by British Airways the next morning. The startling "revelation" surprised one and all. Rejoice Foodies! Having Pizza at Work Makes you More Productive. Audu Innocent Ogbeh is a Nigerian politician who was chairman of the People's Democratic Party from 2001 until January 2005. He is currently the Minister of Agriculture of the Federal Republic of Nigeria. "Do you know sir, there are Nigerians who use their cellphones, to import Pizza from London. Buy in London, they bring it on British Airways in morning, to pick it at Airport," said Ogbeh in his speech. Ogbeh also said in his speech that "It's a very annoying situation, and we have to move a lot faster, in cutting down some of these things." Other than being a politician, the 71-year-old politician is also known as a writer. He has written five plays, which include three published works. However, it remains to be seen if what Audu Ogbeh said is fiction or reality. British Airways has yet not responded to the claims.